Head’s up! 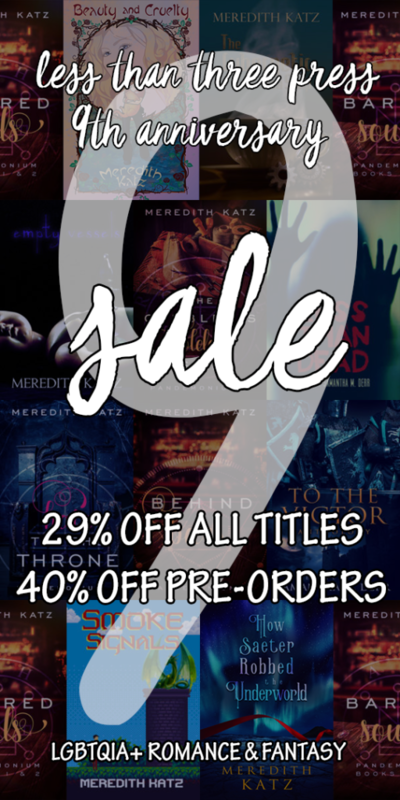 All ebooks, print, and preorders are on sale through the publisher’s website until August 22! You can find my books right over here: Meredith Katz at Less Than Three Press! 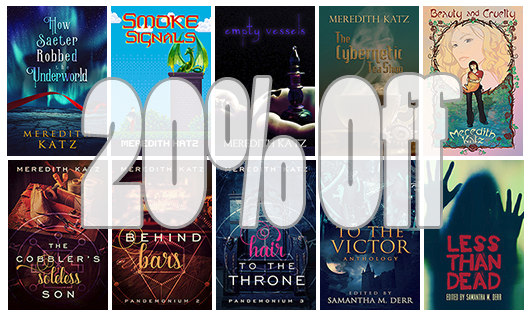 This weekend (June 6-8), Smoke Signals is on sale at the publisher’s website for $0.99! 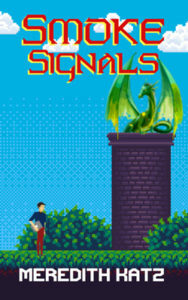 It’s an upbeat M/M urban fantasy about a literal billionaire dragon who collects video games, and the the customer service rep in charge of his account. Perfectly (and accidentally) timed for the end of the Summer Steam Sale, if you haven’t got enough of the feeling of buying way more video games than you could possibly play… why not check out a dragon who does just that? It’s currently a full $2 off, so you won’t find it at a better price. Check it out before the weekend’s over! Smoke Signals Coming Soon, Giveaway, Preorders, Sale! First of all, there’s only three weeks left before Smoke Signals comes out! In which an arrogant dragon has a CSR come over to install games in his hoard of video games and is really bad at feelings. Interested in trying to win a free copy? Sign up with Goodreads, join the Less Than Three Press Goodreads group, then comment here to be entered to win! 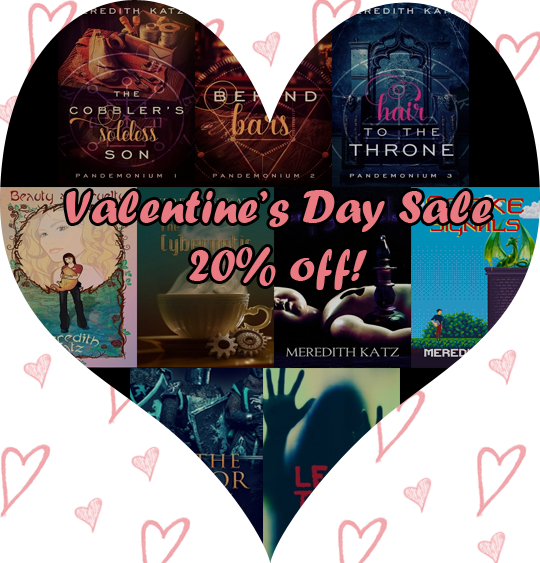 Less Than Three Press is having a sale through Valentine’s Day where all ebooks are 20% off when bought through their site! With preorders on extra sale. At that price, Smoke Signals will get you a TWO DOLLAR LIZARD. 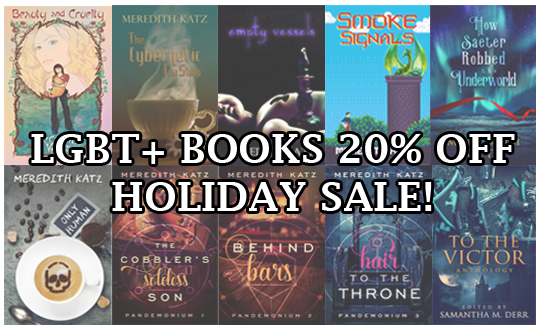 You can find my works right over here, but make sure to check the sale out in general and pick up some sweet reads to keep you (and your loved one(s)) company on Valentine’s Day!